when I joined this college I thought science will be difficult but science is an easy course. College is excellent,lab equipments are good ,teacher allotted in this college are best,we got many opportunites also to explore our inner talents,nice environment,transportation facility is available,overall for me it was excellent college,had a good enjoyment with everyone. The PU based college offers lot of course in science as well as in commerce. The college has very good teaching faculty,the infrastructure is fine,classrooms are well maintained,they support us in co-curricular activities,they also give quality education.they have no gender biasing or ragging happening in the college premises.the teaching staff are really friendly and clear all our doubts regarding academics,they also help us to give our best performances in both curricular and non curricular activities.overall I am having a wonderful time in my college and happy that i have joined here. They need to improve little infrastructure .they are improving but still need to do. 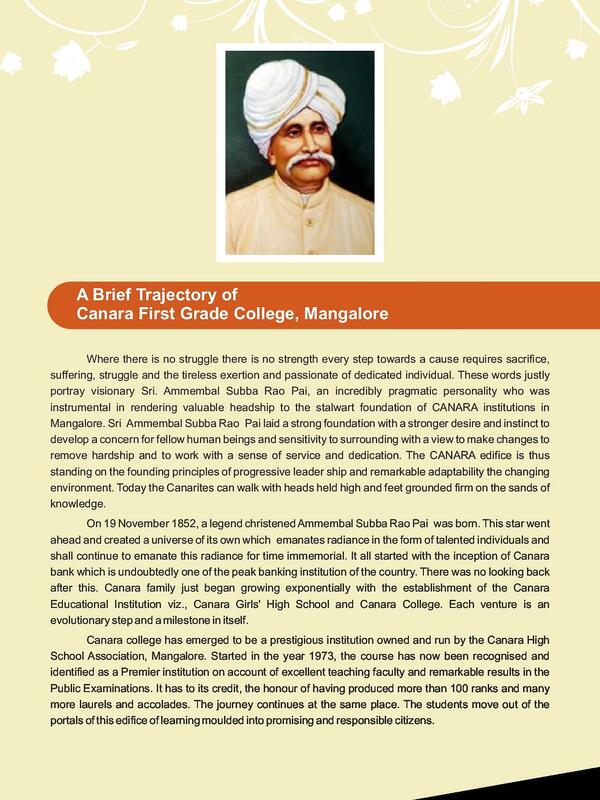 They also have to put some efforts to help students excel in their overall development and rest everything is fine here in canara, i loved studying in this college. Faculties are also good,friendly in nature. 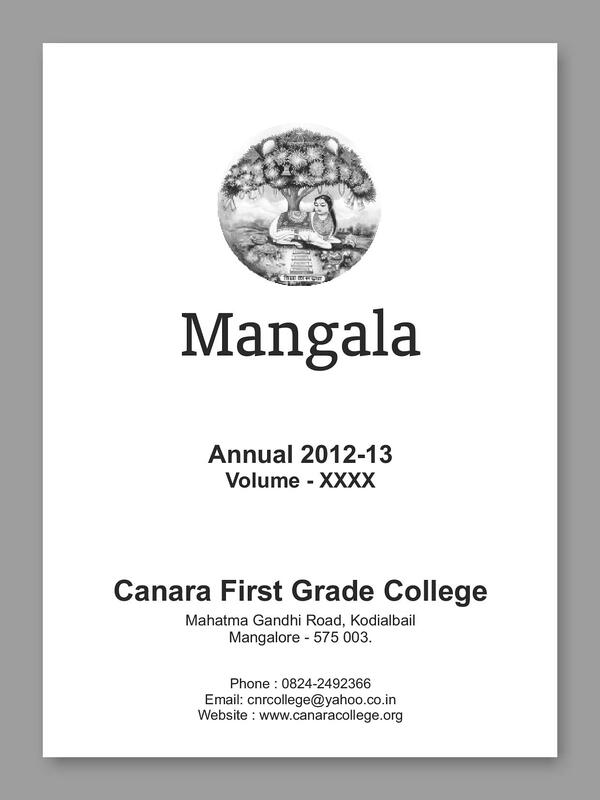 Canara College, Mangalore was established in 1973 by the Canara High School Association, an organization which has been efficiently managing a number of educational institutions in Mangalore since 1891. The college is affiliated to Mangalore University and approved by NAAC. The college is receiving grant-in-aid from the State Government of Karnataka and is also conducting some self financing programmes. The college had obtained UGC recognition under 2(f) and 12(B) in 1991. The college lays great stress on the development of character and discipline among the young students so that they may turn out to be worthy citizens of the country. The college is located in the heart of city at Kodialbail, M.G.Road, Mangalore and has its own building in the campus of 2.82 Acres. NSS - The college contains 2 NSS units, training students to excel in various aspects like health, cleanliness, personality development, social services and shramadhan. All the 17 classrooms are well furnished. The college has a very spacious Library with a collection of 40,862 books and 95 journals. The library is installed with EASYLIB and OPAC softwares. "Well it was the best days in life I had with friends"